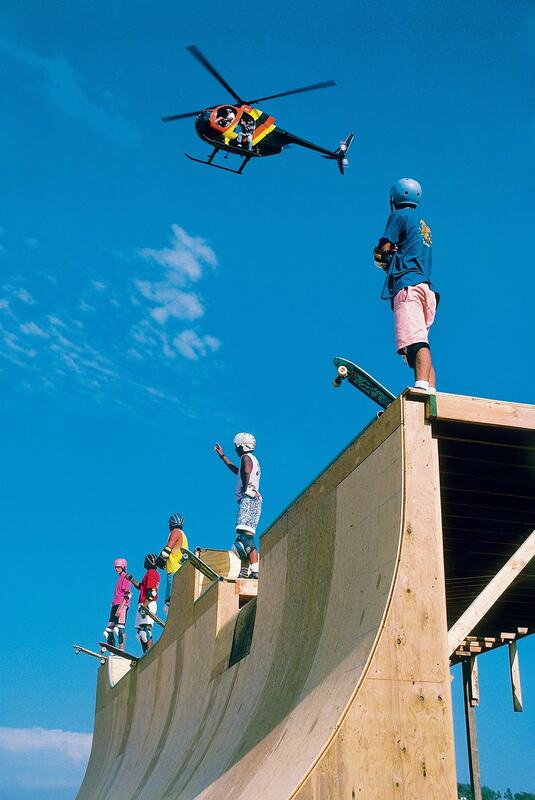 Skateboarding is the sport that has been able to most clearly set a style and export it to other fields. With a low number of people who skate in comparison to other sports and usually related to subcultures, skateboarding has been gradually muting its aesthetic at the same time that it became the most stylistically influential sport. Even appropriating models that were far away from the skateboard, like the Jordan I. A process that has a lot to do with chance. Possibly for its volatile nature, it has taken decades to create skate sneakers. Investigating between papers and old magazines you can find ads of the Randy 720 in the fifties that seem more like a curiosity in an era where people skateboarded barefoot. From the seventies onwards sneakers that were specifically designed for skateboarding were already common practice, but skate was going too fast, not only when it came to its style but its functionality. The eminence of the Ollie as a basic trick towards the end of the seventies implied changes to its footwear, it had to strengthen the side sections. Whilst some brands created low top sneakers with thick soles to resist abrasion, some skateboarders preferred to skate with their ankles protected and a sole that placed them closer to the floor. This was the moment in which a young Michael Jordan arrived at the NBA with the intention of revolutionising the game and the style. It started with sneakers. The revolutionary and banned Jordan I’s had everything to become the perfect skateboarding sneaker; they were made out of leather, they had a padded heel, a strengthened toe, perforations for ventilation and the sole kept you close to the skate but it still had a bit of cushioning… everything seemed to be designed for skateboarding, something that the designer, Peter Moore had never had in mind. 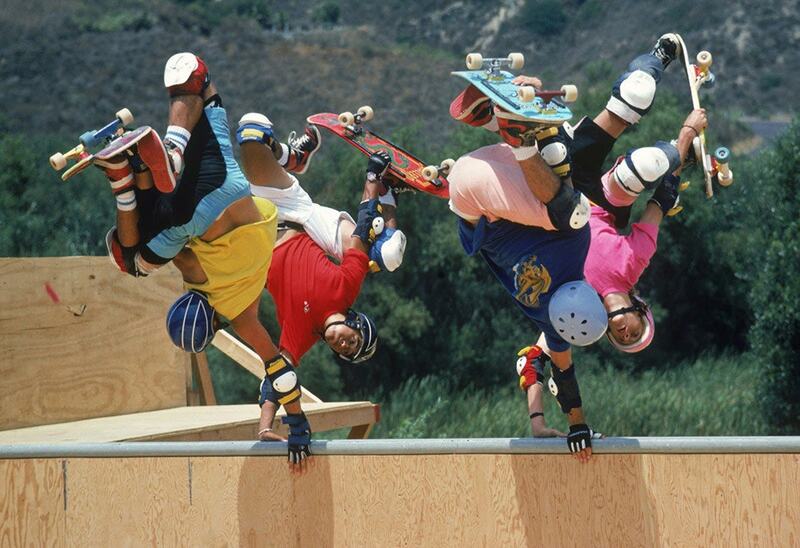 In 1987 The Search of Animal Chin comes out, a skateboarding movie starring Bones Brigade, the team that was comprised of Steve Caballero, Mike McGill, Lance Mountain, Tommy Guerrero, Craig R. Stecyk and Tony Hawk. The usual skateboarding brands had stopped sending products to many of their skaters but Stecyk was signed to Nike. Bob Parker, the brother of the company’s current CEO, gave them some Jordan’s that were about to end their life cycle, once the Jordan II’s would reach the stores. The main skaters of the moment were in the big screen and above all with a picture of J. Grant Brittain for TransWorld SKATEboarding Magazine turned the style of The Search of Animal Chin into a skateboarding reference. References to punk, but also to the bright colours of surf, Misfits t-shirts, bleached hairdos… and the Jordan I. Coloured in, worn out, repaired and sometimes mismatched (Lance Mountain used to wear different coloured sneakers). The impact of that movie came just about the time the Jordan I stopped being a product of the masses, starting its second life as a cult sneaker in the world of skate. 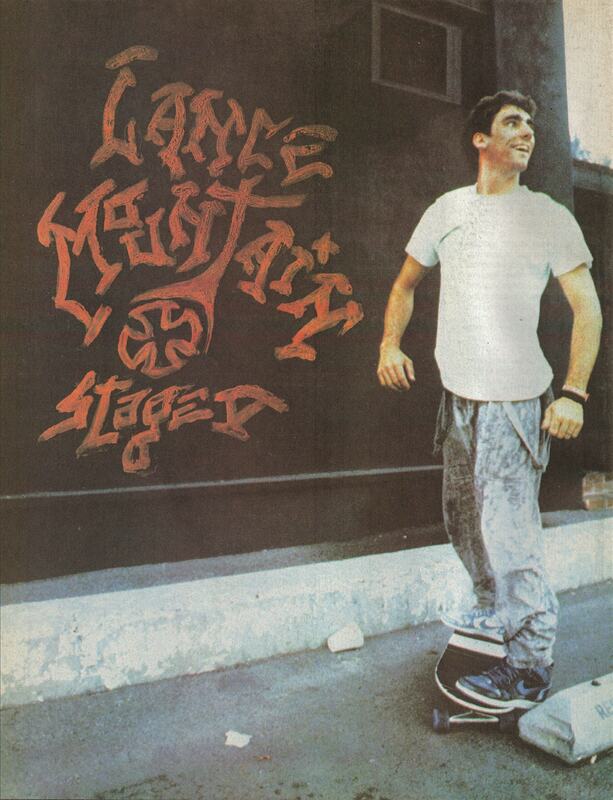 The Search Of Animal Chin’s style established itself as the one to follow in the skateboarding scene in the eighties. The influence of the Jordan I can be seen in sneakers by Airwalk, Paul Rodriguez, Eric Koston, Supreme or Sal Barbier and its cultural importance has remained for decades to Nike’s own surprise. Not bad for a sneaker that wasn’t meant to leave the basketball courts.